It's not too late to get started on those New Year's Resolutions especially if one of them includes getting involved with Comal ISD. Getting involved and engaged in the community may be on the top of many resolution lists for 2019. If it is, the Comal Independent School District has opportunities to help fulfill this desire. Here are just a few. Join a campus Parent Teacher Association (PTA), Booster Club, Watch D.O.G.S. (Dads of Great Students) or mentor program. Maybe join them all. Volunteering on individual campuses through organizations such as these is the best way to get involved with Comal ISD. These organizations are the hands and feet of the District when it comes to helping students on a daily basis. This is the best time to join a campus’ PTA. 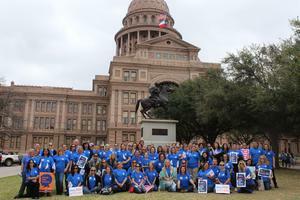 With the 86th Texas Legislative session underway, the Comal ISD Council PTA is organizing its second district-wide campaign in support of Texas PTA Rally Day and march to the Capitol. 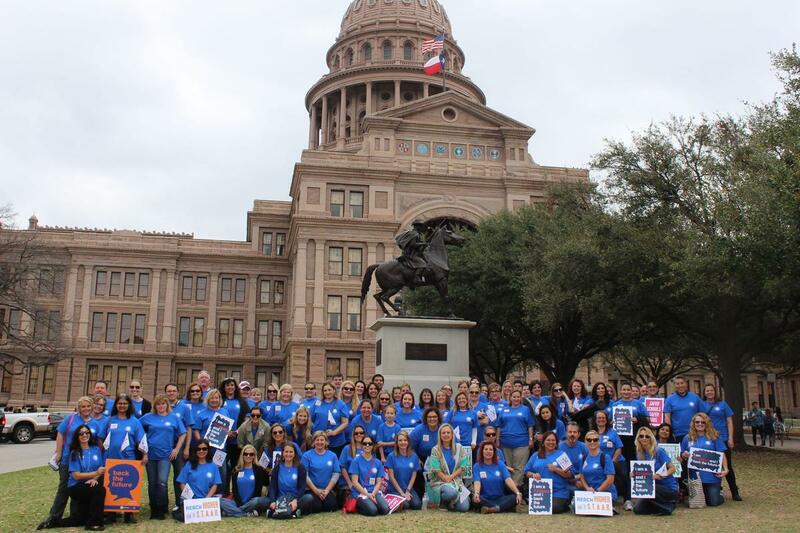 Two years ago during the last Texas Legislative session, Comal ISD Council PTA sent more than 160 parents, teachers and students to the state’s Capitol in support of legislation that impacts every public school and student. This year’s Rally and march day is scheduled for Monday, Feb. 25. To get involved, contact Comal ISD Council PTA legislative chair Jessica Shopoff at jessicashopoff@gmail.com. Besides organizing big events such as Rally Day, campus PTAs work closely with teachers, principals and counselors to support every student and engage every family on a school campus. 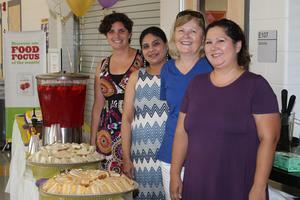 PTA events include holiday parties, staff appreciation lunches, fun runs and more. The Comal ISD Council PTA also sponsors a district-wide Parent Summit which includes three evenings designed and implemented by parents, giving parents an opportunity to learn from each other and from local experts on how to best navigate the teenage years. This year’s Parent Summits are scheduled for Monday, March 4, at Canyon Lake High School; Tuesday, March 19, at Smithson Valley High School; and Monday, March 25, at Canyon High School. This year’s theme is Profile of a Healthy Child. Most booster clubs can be found on secondary campuses, mainly high schools and generally are associated with athletics, dance, cheer, band, choir and other extra-curricular activities. Booster Clubs operate much like PTAs with parent and student volunteers supporting and promoting a particular team or group. From t-shirt sales to casino nights, Booster Clubs raise funds, offer scholarships and help provide students with experiences beyond the classroom. To get involved with a Comal ISD Booster Club, contact your local campus. It’s easy to become a volunteer for Watch D.O.G.S. (Dads of Great Students), a nationally recognized organization created to get fathers and father figures involved in schools. Currently, Comal ISD has a Watch D.O.G.S. chapter on each elementary campus in the district in addition to a few on its middle school campuses, continuing to promote the importance of getting everyone involved in the lives of students. A Watch D.O.G.S. volunteer generally chooses one or more days in the year to spend on his child’s campus. On those days, he will be assigned a number of tasks such as reading in the classroom, playing at recess, eating lunch in the cafeteria, patrolling the school’s entrances and hallways, assisting with traffic flow during drop-off and pick-up and participating in anything that may be happening on campus that day. This year, these volunteers are working with the District’s safety and security team as well to ensure an extra layer of school safety on campus. Contact a local campus to find out how to become a Watch D.O.G.S. volunteer. Besides these particular organizations, volunteer opportunities on individual campuses also exist from mentoring to making copies and everything in between. Contact a local campus today to find out how to begin. The only requirement is completing an online volunteer background check form. Now, that’s one New Year’s resolution, done. Top photo: Comal ISD Council of PTA members marched at the Capitol in Austin during Texas Rally Day 2017. Middle photo: PTA members of Pieper Ranch Middle School volunteered during the school's ribbon cutting ceremony in September. 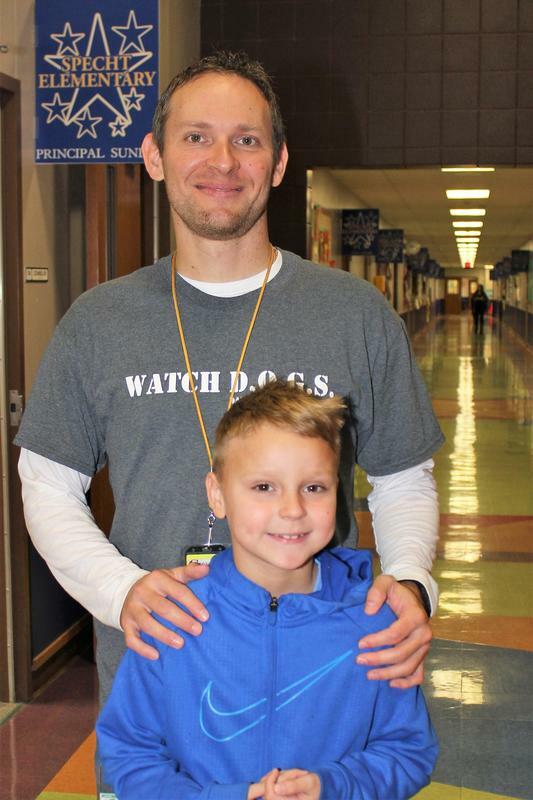 Bottom photo: Adam Conley volunteers as a WatchDOG at his son Grayson's school, Specht Elementary.